Putting together an impressive conference program can often be an overwhelming task. Whether it be aligning company message with the required professional education points sought after by delegates or securing the right mix between professional and social activities to attract registrations, the decisions you make during the planning phase ultimately contributes to the success of your event. After mapping out an incredible event schedule with a good mix of activities, designed as best as possible to meet expectations, how do you select the right speakers to deliver key messages, which support the direction of your business? 1. Ideally, you want someone who will promote your conference in the lead up, during and after the event, which will make your job so much easier. 2. Someone who understands your brief, but also inspires you to think outside the box. 3. Someone who can relate to your overarching business goals and can tailor their presentation to support your pursuit for excellence. 4. And finally, someone who can deliver a thought-provoking, motivational message that takes delegates on a journey, challenges their thinking and enlightens them with real-life experiences. Challenging the thinking at a conference inspires a desire or hunger to shift an individual or team’s commitment towards achieving a goal. Speakers who fail to do this, don’t inspire the level of performance required to achieve the next 12 months results. Conferences need to be recognised as an opportunity or catalyst for the organisation’s next best self, allowing leaders to inspire effort across the board, creating an environment that supports the execution of their strategies and the achievement of their goals. Is connecting to your audience enough? Former Olympic medallist, Dan Collins, believes there’s more to selecting a great speaker than just choosing someone who can connect with your audience. He believes you should choose someone who can deliver the tough stuff... someone who has survived the pursuit for excellence and has performed at the highest level... someone who can speak first-hand about their experiences and motivate a sense of personal responsibility behind turning up, being accountable and getting the job done. Since retiring from his Olympic quest for Gold in the sport of Kayaking, taking home both Silver and Bronze medals along with numerous World Championships, Dan has focused his energy on managing transformational organisational change, driving accountability and performance in the corporate world. Having worked with large corporate sporting entities such as the International Rugby Board, Australian Sports Commission, AIS, NRL and AFL clubs as well as other industry leaders including Ernst & Young, AMP, Woolworths, Continental Tyre’s and the Virgin Group of Companies, Dan’s expertise is in high demand. His ability to support learning through the art of storytelling, highlighting the lessons he himself has learned based on personal successes and failures, sees audiences exposed to real-life, relatable challenges in his pursuit for excellence on the world’s stage. Anything worth achieving, comes with an extended period of discomfort and Dan believes leaders who develop an environment that supports the team in navigating the uncomfortable journey, will best see them achieve the level of excellence they desire. 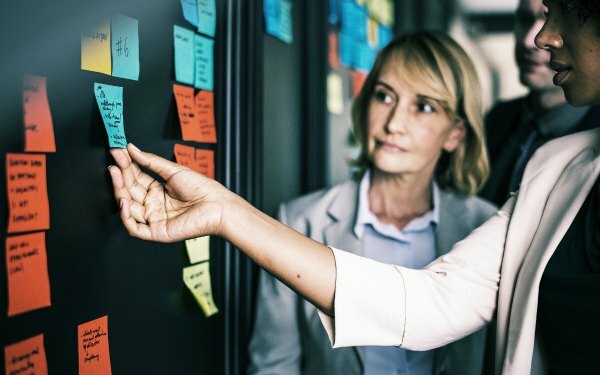 When you’re next navigating the often-challenging journey of building an exceptional conference program, consider this … someone who supports you in your pursuit for excellence will not only make your job easier, but will also support the results of the business concerned well after the event has wrapped up. A conference that delivers a WIN-WIN relationship between team members and leaders, leaders and conference organisers and, learnings and outcomes is one worth putting your name to. Wouldn’t you agree? If you would like to know more about Dan Collins and his keynote presentations click here to submit your enquiry, or contact us directly on 1300 55 64 69. Dan’s keynotes include EFFORT and PERFORMANCE UNPACKED and are designed to build a culture of accountability and create winners at all levels. Read more about Dan.